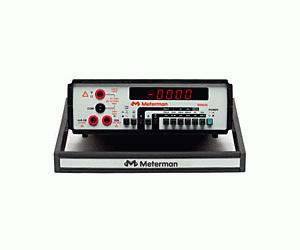 The BDM40 is a 4 1/2 digit (20,000 counts) bench digital multimeter with true RMS (AC or AC+DC coupling) measurement capabilities. This assures accuracy regardless of the type of waveform. Features high resolution making it ideal for production test, QA test, depot service, university and school labs. Resistance from 10 m? to 20 M?